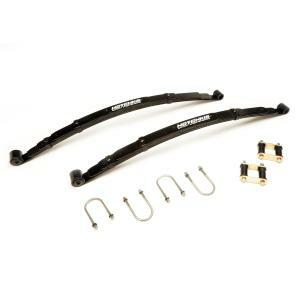 Dramatically improve your Classic Muscle Car’s traction, launch, cornering performance and overall driving enjoyment with Hotchkis Sport Leaf Springs. 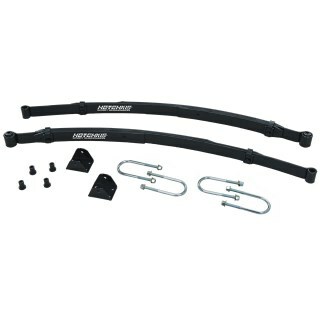 Featuring multi-leaf spring packs, polyurethane rear bushings and rubber front bushings, Hotchkis Sport Leaf Springs offer both performance and ride comfort. 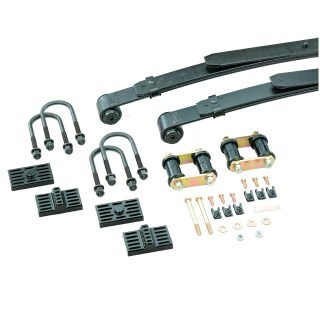 The lowered design reduces your vehicles center of gravity and improves overall appearance. 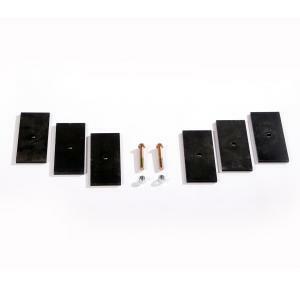 Unique to Hotchkis Sport Leaf Spring packages is the complete installation hardware kits that includes Grade-8 fasteners, heavy duty u-bolts, Hotchkis-designed shackles, hangers and polyurethane spring pads. 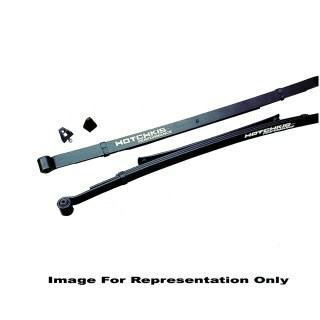 This difference is worth noting when researching which brand of leaf spring to purchase. Go ahead, bolt a set on today and feel the performance and ride quality advantage.